Full Flush Poker has announced a “Gold Bar Giveaway” which will randomly award entries into the site´s $25,000 Blitz tournament scheduled for Sunday 1st June. 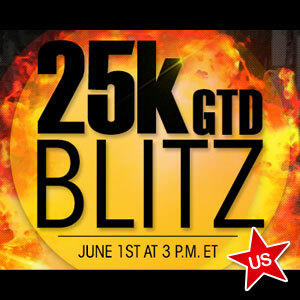 Full Flush Poker is hosting a $25,000 guaranteed “Blitz” tournament on Sunday 1st June and, in order to make sure that the minimum entry of 150 players is achieved for the $55.00 buy-in event, the site is giving away “Gold Bars” in a special cash game promotion throughout the rest of May. Each day one cash game player will be randomly selected between the hours of 5:00pm (ET) and 9:00pm (ET) to receive a “Gold Bar” – which unfortunately is not a real gold bar, but a tournament entry into the feature event. Once a player has been chosen, a pop-up will appear revealing the screen name of the lucky winner and, in order to be included in the draw, players only need to have made one real money deposit into their accounts. On Sunday 1st June, Full Flush Poker is replacing its regular “BIG $10K Guaranteed” tournament with a $25,000 guaranteed event which they have elected to call the “Blitz”. The tournament starts at 3:00pm (ET) and, if you do not have a Gold Bar, the regular buy-in of $55.00 will apply. 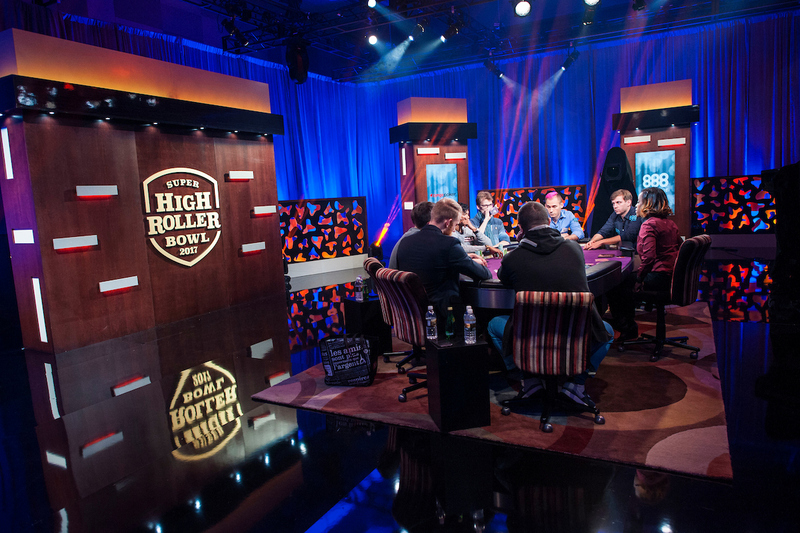 Players receive 3,000 starting chips and re-buys are available throughout the first hour – after which a 6,000 chip add-on is available for another $55.00. Levels last 12 minutes and there is a gentle blind structure up until Level 20, after which the blinds tend to escalate rather quickly. Only the top thirty-five players will get paid out – with the winner guaranteed a minimum first prize of $5,750 – and, as is usual with Full Flush Poker tournaments, there is no late registration for the event. Players who are not selected for a Gold Bar, or who do not have the bankroll to pony up the $55.00 buy-in, can qualify for a seat in the $25,000 guaranteed “Blitz” through a two-stage satellite series with buy-ins starting at $0.55. Both Stages 1 and 2 are comprised of ten-player Sit n Go tournaments accessible from both the tournament and Sit n Go lobbies. Stage 1 winners will receive a “Silver Bar” which they can use to buy into a Stage 2 qualifier, or players can buy directly into Stage 2 for $5.50 – with the winner receiving a “Gold Bar” which can be used for the target event. Both satellite stages are freeze-out tournaments, in which players will receive 1,500 starting chips and levels last just 6 minutes. Prizes will automatically be credited to players´ accounts (click on “Other Balances”) and can be used to enter tournaments other than the Blitz if the timing of the feature tournament is inconvenient (like if you live in Europe). If you are an existing player on Full Flush Poker, the site is offering a 100% bonus up to $600.00 on the first reload deposit players make during the month of May, plus an additional 10% cashback up to $200.00 on all deposits over $200.00 made through the site´s preferred payment processors – Western Union, MoneyGram, EcoPayz, Skrill and Neteller.